I had no idea that Atlantic Jaxx, the electronica label owned by UK house duo Basement Jaxx, occasionally puts out downtempo and ambient releases. 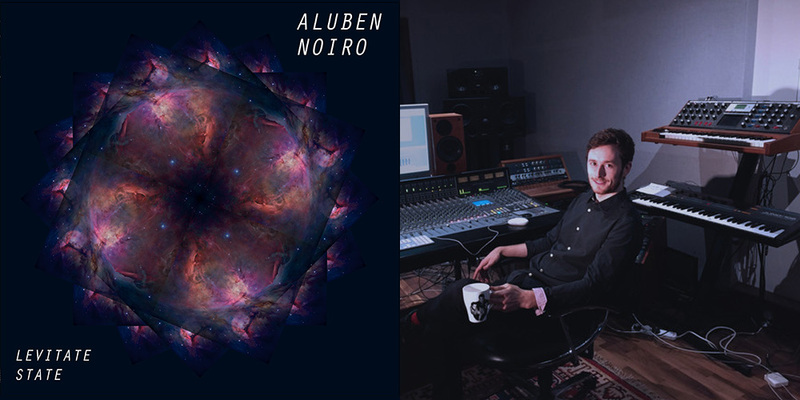 So it was a great surprise when this landed in my box, a fresh and astonishingly accomplished cinematic spacemusic album by the mysterious Aluben Noiro. Well not so mysterious now, because I did some digging and discovered Aluben Noiro is the alias of Jaxx in-house engineer and producer Duncan F. Brown and this is his debut. In truth, the album’s publicity blurb would probably have led me to ignore the release if not for the Jaxx connection because it gives the impression that it’s generic relaxation music. It’s so much more. I hope it finds an audience among those who will actually listen and revel in its depths, specifically fans of spacemusic, psyambient and authentic new age. This deserves attention – bigly. Levitate State is out now on Atlantic Jaxx Recordings.